I dunno about you but my Hippo is so social. Everywhere she goes she's the center of attention. Pool parties, barbeques, safari tours – you name it, she rocks it. Well, she's so fabulous that she's caught the eye of a few friend who followed us home one day and I can't seem to make him leave. I cannot deny that he is adorable in every way right down to his spots and his fabulous mane. This guy's got personality and I can see why Hippo likes him so much. He's a pretty chill dude and has easily won the heart of a certain Mrs. TenTen. I cannot deny that him and hippo are ruling the nest around here. They're pretty inseparable. 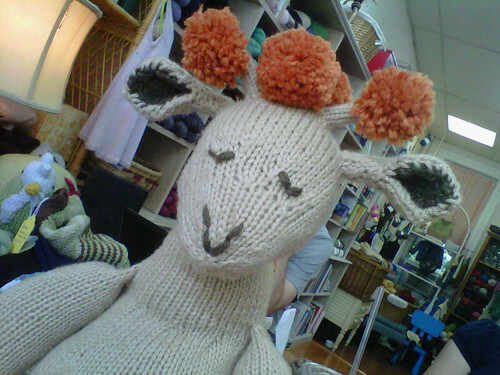 You could say they go together like peas and carrots or wine at knit group. PS: If you don't have the Itty Bitty Toys book – run, don't walk, to your nearest LYS and get it. Seriously, I'm not done yet! 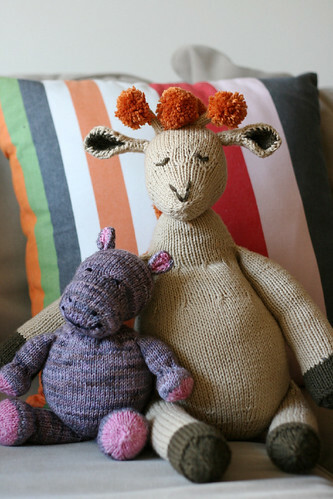 So many more knitted toys to come! Totally cute! I LOVE the pompoms for the mane. And those spots…how adorable! Adorable, I love the spots on the giraffe! I’m thinking I shall have to go buy this book now and try my hand at making toys. Such a handsome giraffe! Love Hippo too. They are both so charming! I need to get this book! OMG, I’m DYING!! 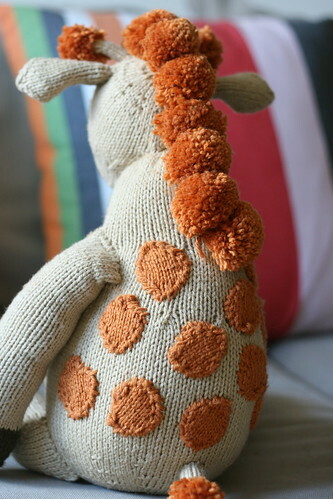 Can you believe I haven’t knit any toys for Bean yet? What’s wrong with me? awwwww! they are sooo cute. Beautiful job! Adorable!! I have that book and love all the patterns. So far I have only made the puppies but my kids have many more requests.